For centuries they have gathered dust on the shelves of a library marooned in a rocky patch of Egyptian desert, their secrets lost in time. 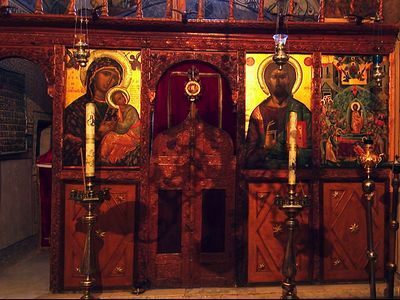 But now a collection of enigmatic manuscripts, carefully stored behind the walls of a 1,500-year-old monastery on the Sinai Peninsula, are giving up their treasures. 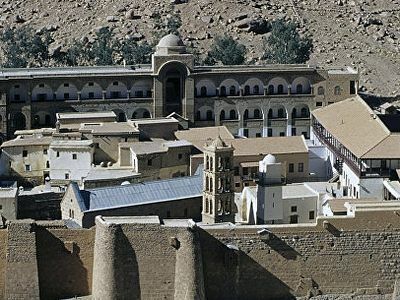 The library at Saint Catherine’s Monastery is the oldest continually operating library in the world. Among its thousands of ancient parchments are at least 160 palimpsests—manuscripts that bear faint scratches and flecks of ink beneath more recent writing. These illegible marks are the only clues to words that were scraped away by the monastery’s monks between the 8th and 12th centuries to reuse the parchments. Some were written in long-lost languages that have almost entirely vanished from the historical record. But now these erased passages are reemerging from the past. 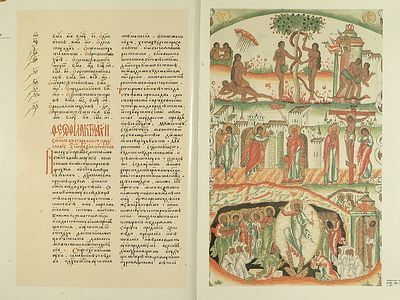 In an unlikely collaboration between an Orthodox wing of the Christian faith and cutting-edge science, a small group of international researchers are using specialized imaging techniques that photograph the parchments with different colors of light from multiple angles. This technology allows the researchers to read the original texts for the first time since they were wiped away, revealing lost ancient poems and early religious texts and doubling the known vocabulary of languages that have not been used for more than 1,000 years. ...Read the rest at The Atlantic.